The key to partying is a change of mindset. Stop looking at your sobriety as a life WITHOUT drugs and alcohol. Instead, try focusing on sobriety as a new chapter WITH fun, laughter, health and joy. Find out which activities can help you achieve this here. 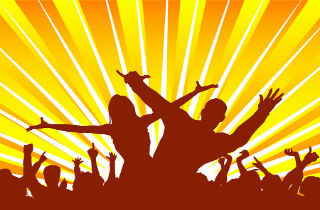 ARTICLE SUMMARY: You can learn to party by changing the way you view “fun”. This article first explores the most common relapse triggers and their roots. Then, we take a look at refusal lines. Finally, we provide you with a list of alternative fun activities. Can sober life be fun? In fact, you don’t need to give up fun just because you’re in recovery. But you do need to learn how to feel pleasure without triggering the “dopamine dump” to your brain provided by psychoactive drugs. Instead, recovery teaches you to consider your health and happiness as two of the most important ingredients to your sobriety. So, how can you start looking at partying differently? How can you be happy when the people around you are all getting high? There are so many things you can do and still experience happiness, joy, and laughter. In this article, we’ll take a look at how you CAN party without exposing yourself to the risk of relapse. We give examples of conscious clubbing and other hobbies to fill your time with deeper pleasure. Then, we invite you to comment and/or ask additional questions in the section at the end of the page. Clubs, festivals, or shows…they can all trigger the desire to use: craving! Following are only a few of the many impulses that will test you. Just when you thought you’ve succeeded, you’ve finally been through detox, gotten treatment, and reached a point in your sobriety, you might across an old friend which whom you used to use. Or, maybe you’ll attend a birthday party where everyone is drinking. Maybe you’re in bad emotional place and something will remind you of your previous ways to deal with pressure and depression. Relapse is common to early addiction recovery. In fact, it’s rather normal for recovering addicts and can become a part of recovery itself. But it doesn’t NEED to happen. Negative emotions such as anger, anxiety, depression, fear, frustration, or stress. Interactions with people and being in places that remind you of using. This includes your old circle of friends, bars/clubs/parties where you use to drink or do drugs. Sounds and smells relating to alcohol and/or drug abuse. For example, cigarette smoke, or the sound of a lighter, or even a song….these can all be unconscious triggers that are hard wired in your brain. The trick to dealing with triggers is to … DO SOMETHING DIFFERENT. When you avoid drinking or taking your drug-of-choice, you re-wire the brain. And over time, the cravings are less strong…and your instant reaction to triggers will ease up. This is based on the theory and experience that the brain is an elastic organ. This basically means that we can re-train ourselves. The more you repeat a health behavior, the easier it becomes to do again. No! You just need to redefine the way you “party”. Q: So, who should refrain from partying? A: If going to a party can trigger relapse to drugs or alcohol, then it’s best NOT to go. The key to partying is a change of mindset. Stop looking at your sobriety as a life WITHOUT drugs and alcohol. Instead, try focusing on sobriety as a new chapter WITH fun, laughter, health and joy. Addiction treatment is designed to help you expand your skills, confidence, and sources of support as you continue to work on maintaining recovery. Treatment programs aim to help you build a strong foundation for recovery. This includes making a life beyond the drug scene. But recovery programs are time limited. In fact, your “graduation” is the application of your knowledge in the real world the minute you leave the facility. So, how do you refuse drugs and alcohol? Saying NO becomes easy with practice. In fact, you are probably familiar with relapse prevention techniques and refusal lines from your aftercare relapse prevention plan. Here are some things you can apply at a party in different situations when you want to refuse a drink / drugs. 1. Make an internal decision first. When you’re being offered with a substance, keep your answers brief and to the point. This way, people around you will realize you are not comfortable discussing the issue and that you’ve already made an internal decision. 2. Use your body language to say, “NO”. If others become pushy, or start pressuring you, turn your attention to the person standing/sitting next to you. This way you’ll send a clear message that you are not interested. Or, walk away. 3. Have an exit strategy before you leave the house. An exit strategy will ensure that you are partying on your own terms. In order to plan for a good time, you must be able to leave whenever things get too crazy and trigger a relapse risk. Sometimes, it helps to leave at the height of the party…instead of waiting for the energy to drop. This way, you take away the best moments. 4. Have an alcohol-free beverage in your hand at all times. You can drink nonalcoholic cocktails or just soda water, but make sure not to let others talk you into taking anything which might slip you back into addiction. 5. Bring sober friends to a party with you. They can support you in your decisions to partying without drugs/alcohol and can make good company at any celebration and/or party. 6. Practice the reasons why you’re NOT drinking/using. Make them relate-able. I’m driving later, I can’t drink/use this time. I’ve had my limit for tonight. I’m good now, thank you. I want to keep a clear head. I don’t drink/use any more, I’m having health issues. Also, look to support group members for new ways of having fun. The sober community has many members, who haven’t necessarily lost their will for having fun. Keep in mind that recovery is about building a new life, one that drugging and drinking parties are not a part of any more. Join a team sports (basketball, bowling, football, hockey, volleyball.. etc). Join a book club and start reading. Attend sober parties and hang out with other sober people. Join a gym and start exercising. Host a sober party yourself. Explore talents and new hobbies. Organize a film festival at your house. Do you have any questions on how to party without relapsing? Have an experience or a “win” to share? Please post us your message in the comments section below. We try to respond to all real-life comments with a personal and prompt reply! Reference Sources: Promises: What are the Common Relapse Triggers in Addiction? Wiki How: How to Have Fun at a Party Where Everyone Is Getting Drunk?